Universal Filtration International has traditionally manufactured an automotive range of air, oil and fuel filters. In 1995, they designed a hydraulic program compatible with MP Filtra of Italy and entered the hydraulic market. 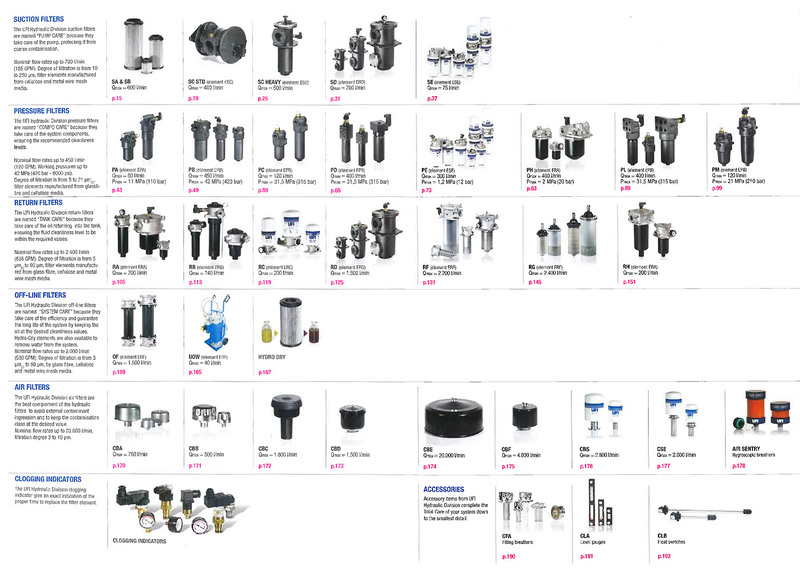 The range is comprehensive and cost effective and includes products such as Return Line Filters, Pressure Filters and Suction Filters. The range also includes accessories such as Filler Breathers, Level Gauges and Contamination Indicators. RA • RC • RD • RF • RG • RH • PA • PB • PD • PE • PH • PL • PM • SA • SB • SC • SD • SE, etc. Contact Fluid Power today to see how we can fulfill your hydraulic requirements!